Home Cryptocurrency How To Store Your Cryptocurrency Today! Okay, you have just set aside a small fortune to buy some cryptocurrency. You are already in the exchange and are one click away from making a purchase. Wait! Where will you store your sparkling new digital coins? Few concepts in technology are as confusing as the cryptocurrency wallet. Many people don’t understand the idea of a digital wallet designed to store digital coins. Things get even more confusing when the cryptocurrency wallet is described to be just as effective as a digital bank account. Well, we are here to clear up. 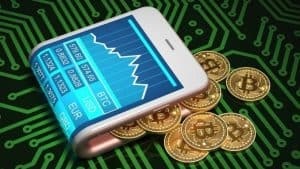 Here is everything you need to know about the cryptocurrency wallet and how to get one. What exactly is a cryptocurrency wallet? This is a software tool which allows you to receive and store cryptocurrency. It also facilitates your ability to send cryptocurrency to a merchant or someone else. This digital wallet interacts with the Blockchain. Moreover, it stores your cryptocurrency securely. This is accomplished using private and public keys. If you want to pay for things or receive payments in cryptocurrency, this type of wallet is necessary. How do cryptocurrency wallets store your digital coins? The concept behind the operations of a cryptocurrency wallet is quite interesting. While we describe this wallet as storing cryptocurrency, it actually contains no digital coins at all after you deposit some in it. All that exists inside the cryptocurrency wallet are records of specific transactions made on the Blockchain. Each cryptocurrency wallet contains your private and public keys for security purposes. It also contains an interface that links the wallet with the Blockchain. When someone sends you some cryptocurrency, they simply sign off ownership of the cryptocurrency to your wallet. For you to unlock these funds, the private key in your wallet needs to match the public key of the address that the digital coins are assigned to. If these keys match, the balance in your wallet will increase and theirs will decrease by the same margin. After that, this transaction is registered in the Blockchain for public viewing by everyone on the Distributed Ledger. Desktop wallet: This is a type of cryptocurrency wallet which you download and install in your computer. The desktop wallet can only be accessed through that particular machine. While it maximizes on security, it does not provide remote access. Online wallet: This type of cryptocurrency wallet is located on the Internet. It runs in the Cloud. Its online nature allows you to access it at any time from any location. The online cryptocurrency wallet is managed by a third party. Its private key is also stored online. Most online wallets implement 256 bit encryption as security. However, it is still at risk from hackers. Mobile wallet: This type of cryptocurrency wallet runs as an application in your smartphone or tablet. The mobile wallet is very dynamic and versatile. You can use it literally anywhere as long as you have your smart device with you. Its capacity is only limited by the space available in your smartphone. Hardware wallet: Developed such that it is physical in shape and accessibility, the hardware wallet enables you to store your cryptocurrencies offline. This maximizes the security of your digital coins. It often looks like a USB flash drive. The hardware wallet needs to be inserted into your computer so as to make transactions. When using a hardware wallet, you can link it to many types of cryptocurrency interfaces. Paper wallet: This type of cryptocurrency wallet is very easy to use. This type of wallet can simply be thought of as a printout or physical copy of your private and public keys. In some cases, the term paper wallet can also be used to describe a piece of software which generates these keys on demand. In addition to that, the paper wallet provides you with maximum security. If you would like to deposit digital coins into your paper wallet, simply send them to the public address which is shown on your paper wallet. However, if you would like to spend or send digital currency, simply enter the private key indicated on your paper wallet and transfer to the public key you desire. How secure are cryptocurrency wallets? The security of your cryptocurrency wallet depends on many factors. Firstly, the type of wallet that you use goes a long way in determining how secure it is. The security of your cryptocurrency wallet also depends on your service provider and how you’re accessing your digital coins. For example, accessing your cryptocurrency online through a portal is much riskier than accessing it offline in a hardware wallet. Despite these variations, there are some steps that you can take to mitigate the risk of losing your digital currency. Backup your cryptocurrency wallet regularly: Only hold small amounts of cryptocurrency in your wallet. This means that you should have the majority of your coins stored offline or in a cold storage location. Update your software: Cryptocurrency wallets are software. Hence, update yours so as to get the latest, most secure version. Implement extra layers of security: The more the number of layers of security which you implement, the better it is. You can use longer passwords or get a wallet with 2-factor authentication. Moreover, you can get a wallet that requires multisig authentication before activating transactions. This type requires multiple signatures before a transaction can be effected. Do you intend to use a single cryptocurrency or multiple digital currencies? The most popular and well-known cryptocurrency today is Bitcoin. However, hundreds of others have emerged over time. They are known as altcoins. Each one has a unique architecture and ecosystem. There are cryptocurrency wallets which can only store Bitcoin. There are also others that can store many types of digital coins. These are known as multi-coin wallets. To ensure that you future-proof your wallet, it is advisable to get a multicoin wallet. In traditional business environments, a transaction charge is executed whenever some currency leaves one account and goes into another. The same happens for cryptocurrency wallets. In the Blockchain ecosystem, transaction fees are charged by the network miners as a fee. The transaction fee depends on the cryptocurrency you are dealing with. Some digital coins have high transaction fees while others have low. Most cryptocurrency wallets have negligible anonymity. Your personal identity is not tied to your cryptocurrency wallet. However, all your transactions are stored permanently on the Blockchain public ledger. As such, it is actually possible to trace a transaction to a particular wallet. For those seeking complete anonymity, the DarkWallet project seeks to deliver this through a combination of coin mixing and stealth addressing. If you want to get some cryptocurrency, you will need to have a wallet. 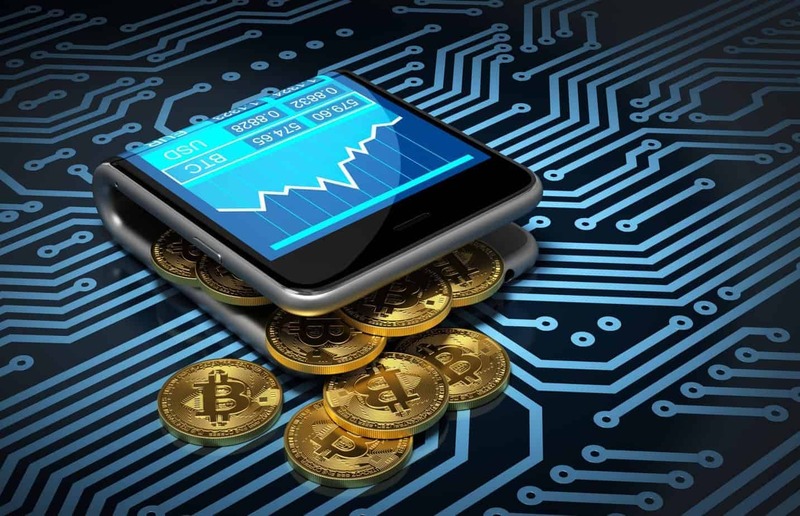 The guidelines above explain the characteristics of cryptocurrency wallets in full. By following them, you can invest in the most appropriate wallet for all your cryptocurrency needs! Next article10 Unique Ways in Which Cryptocurrency is Used Today! AR Gets More Interactive Due to the Geon Network!